It's a struggle building a following or starting the hype train for an indie game, but it's a worthwhile one. Going full steam ahead on the tracks of Social Media can drive you very loco, unless you have methods in place to blow off some steam. Sorry, I'll stop with the train analogies now as they're terrible. Tilting Point's Senior PR Manager Sam Dalsimer has comprised a nice list of the best practices to expand your audience reach through influencer marketing and working with popular content creators. Start from the bottom and grow a small but steady presence on video content and streaming networks like YouTube, Twitch and Mobcrush. Showcase your game and show off its best qualities. Content creators and streamers are the new celebrities; however, it's good to start with contacting lower tier streamers. With that in mind, Sam states that it's important to match your game to the right influencer by watching their videos and reading their viewer comments. Sometimes it's helpful, if you have the budget that is, to spend a little to get a little influence over the influencer. But, like Sam states, it's a two way street; you’re giving them content they can monetize, and they’re giving you the exposure you need. Think influencer marketing as way to generate downloads, as well as a way to create a visual and emotional connection to a potential new audience, especially if their favourite YouTube streamer has been covering your game. Sam notes that using a unique tracking URL in the video description is a good way to get some analytics on how many clicks are being generated. Plus, it's good to remember that YouTube is the second largest search engine online. 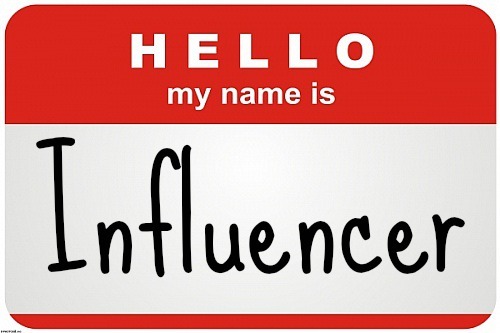 Influencer marketing is all about building relationships, getting to know content creators, and dedicating time and effort to it. Remember, successful influencers and streamers take time to build up their brand, your strategy should also reflect this! A few weeks back, I went on a mission to Slush, the illustrious start-up event in Helsinki, Finland. With my iPad and iPhone in tow*, I strutted up and down the hallways of the Exhibition Center like a pixel-preacher, spreading the good word of Klang! This was the first time that Klang had attended Slush (apart from Slush Play in the motherland, Iceland). There was a definite smell of excitement in the air - excitement that could be described as a mixture of the greatest minds in entrepreneurship consolidating together and questionable body odor. 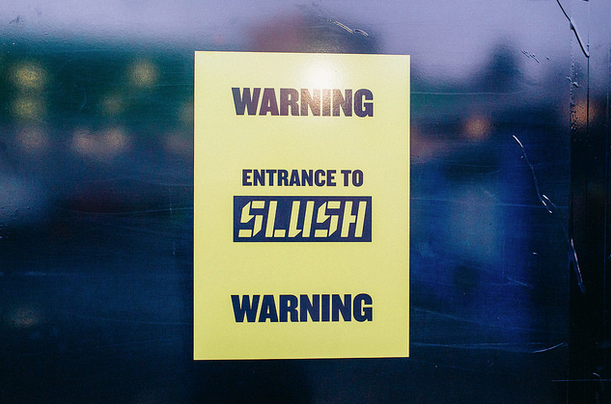 Slush has become one of the most prolific events of its kind, and you can understand why; there’s so much to see, learn from, and experience. I was ecstatic to try out Sólfar’s much talked about Mt Everest VR, which can be only be explained as the most intense thing you can undergo while sitting in your living room in your underwear. Trust me, I’d know. You really get thrown into the frostbitten Tibetan/Nepalese mountain range, climbing to dizzy heights and crapping yourself as you precariously use ladders as walkways. It sure does feel like you’re there, or at least that was how I imagined it to be. Among the interesting and varied presentations over the two days, one that grabbed my attention the most was that of OZO, the new Nokia VR camera*. I felt a connection to this product due to its artistic possibilities and the way it can change how people connect with each other. Our main ambition at Klang is to create engaging multiplayer experiences through virtual worlds for people in the real world. This fits very nicely into the mold behind OZO. No event would be a special one without a closing party. More to the point, no event would be a special one without a Clash of Clans closing party, hosted by Supercell. It’s pretty much as you would expect it to be; DJs, free booze, and barbarians. It doesn’t get any better than that. I can’t fully disclose the whole extent of why I was there. But, let’s just say that I met some very nice people, with great minds, and a great future potential for our Klanging endeavors. Hopefully see you next year, Slush. Things are getting crazy (crazy in a good way) here at the Klang HQ in Berlin. We’re approaching the launch of ReRunners, and we’re super excited about partnering with Tilting Point, who will be working their publishing magic on the game. But, it’s always good to have as many hands available to get our wacky ideas into the game, which is why we’re hiring! You may have already seen this vacancy via our Jobs page, but if you haven't, we’re after an amazingly talented Game Developer that has vast Unity3D experience. You must have experience in mobile development with a HUGE passion for gaming, especially for mobile gaming! Plus, it’s super important that you’re based in Berlin (or on your way to Berlin), as we need someone who can start right away. Why should you want to work at Klang? Well, we’re super cool and friendly people. I promise. We also like to have fun and create things that we think are amazing – see here. 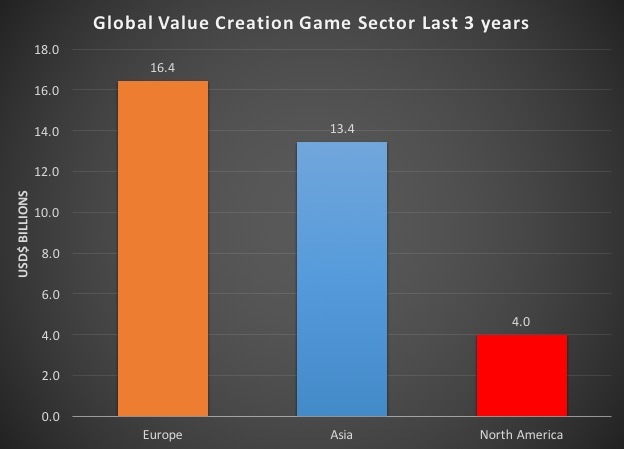 We also have some significant backing, including London Venture Partners (early investors in Supercell) - see here. Most importantly, we’re very passionate about what we do! So, could you be the next Klanger? Contact us if you think so! There’s one important human being that we need to talk about, and that’s Eirikur Oskarsson. He’s the guardian angel-investor who helped get Klang off the ground, as well as a huge motorbike enthusiast, and visionary. Eirikur’s a very humble guy. He likes investing in nice things that have longevity, but he doesn’t like to brag about them – you should see his motorbikes, yikes. We couldn’t be where we are now without him. We approached him in 2013 to see if he wanted to help us on this journey, and, of course, he said YES. He has a lot of belief in the future of mobile technology, as well as using it as a communication tool to build a community through gaming, so he had full confidence in investing in Klang. He has a really strong track record, being an important figure in the birth of the global theater production company, Theater Mogul, so we knew that Eirikur’s input would be an important one. Eirikur not only shares his experience in building a company from the ground up, but his inspirational outlook on life. We’re proud to have him as part of the Klang family!